Drop in sales? 3 ideas to make your site attractive and modern! What can you do when sales drop? How do you attract new customers and keep the ones you have? Here are our tips! Even the giant McDonald’s has done this: food delivery. If customers do not go into the restaurant, the restaurant must “enter” people’s homes. This is the new philosophy, or rather one of the gimmicks frequently used today to cope with the drop in sales. 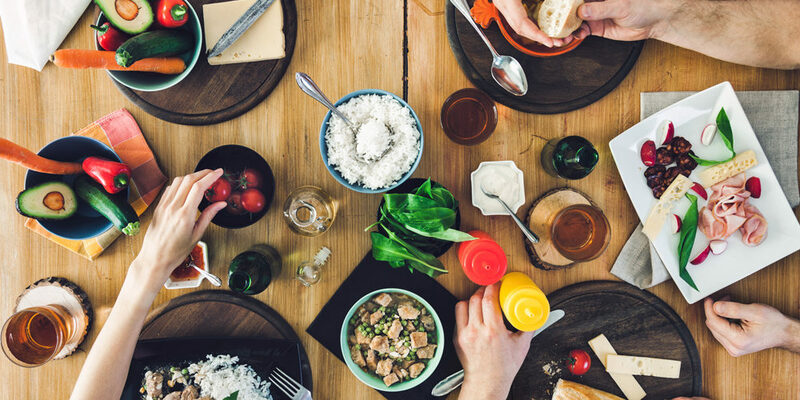 The trend is becoming more widespread and targets consumers who choose to take food home, either because they don’t have time or don’t want to cook; increasingly often, they may not even want to leave home to go to the restaurant. The instrument is quick and simple: home delivery is the result of a simple click from your smartphone, a reservation after consulting the menu online, and soon the delivery is at your door. On one hand, this is undoubtedly a tool of great appeal for expanding the clientele; on the other hand, it is likely to lead to a decline in onsite visits. The solution is to see this service as a method of advertising the restaurant and its food, to entice people to travel physically to the site. We’re talking about sharing space (large tables) but especially food. Yes, sharing dishes is the new trend especially among Millennials (those born between 1980 and 2000), the current target of restaurateurs. The relevant public is therefore composed of diners who seek a convivial and enjoyable experience during their meal by sharing with people they don’t know. From the perspective of the restaurant, this means arranging large tables that can accommodate several people and introducing an offer of “shared” dishes or “extra large” formats involving multiple dishes: Diners can taste different dishes, increasing their satisfaction; the restaurant benefits from cost optimization. Orders via smartphone or tablet sent directly to the kitchen, news about promotions, new dishes or recipes through sms, automatic billing and sending of receipts, augmented reality to see a virtual dish directly on your own plate in its actual size before you order it. In the United States, 78% of customers believe that the use of such technological solutions improves the restaurant experience; this trend is catching on even in Italy. There is another plus for the restaurateur: automating these services collects valuable data that reveal, for example, the most and least popular dishes to optimize the spending or propose variations of the most-ordered dish. To fight a drop in sales, provide your customers with an unforgettable experience: do not miss the opportunity to always keep place settings perfect thanks to Krupps dishwashers. With Krupps, tech is also in the kitchen! Check out our UniKo and iKloud panel!